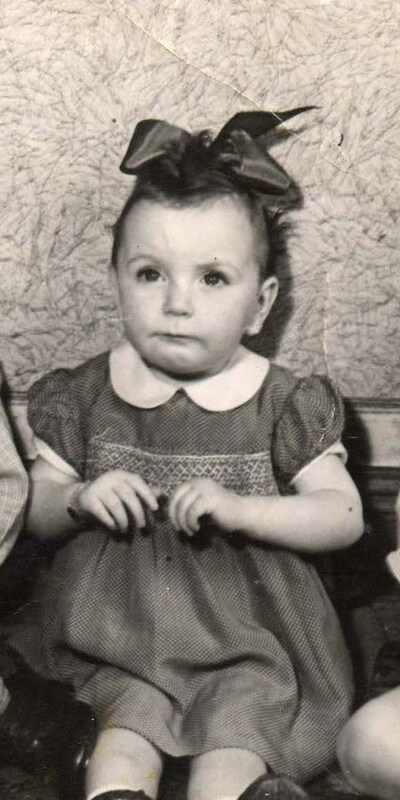 Right, hands up all who remember or wore a smocked dress or romper suit. I know I certainly did, although the only photo I can find today was taken sixty years ago. Originally derived from the Saxon tunic the smock comprised two rectangles joined at the shoulders and the sides, with two smaller rectangles folded lengthwise and joined at the shoulder level to form the sleeves. In Under Greenwood Tree, Thomas Hardy in 1871 described the ‘smock-frock’ as ” a long white smock of pillow case cut”. The smock-frock varied in style according to district, occupation and occasion. It was worn by many rural labourers and tradesmen to protect their everyday clothes, or perhaps to hide their shabbiness, it was the shepherd’s smock that blossomed into a highly decorative style. Annual hiring fairs were the equivalent to the employment exchange or agency of today. It was where a large crowd of workers congregated in anticipation of future work. A clean smock presented the labourer with his best advantage…. he was hired on face value! It was important to him as well as to the employer that his trade could be easily identified by what he wore or carried. 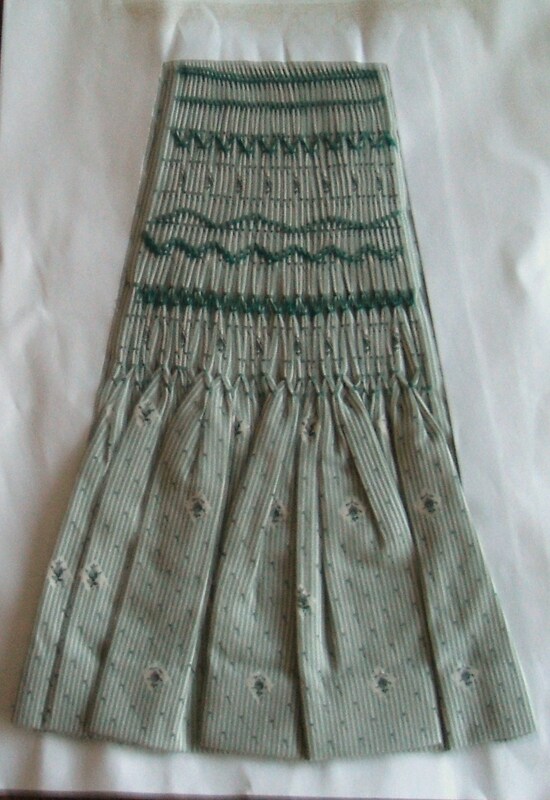 Smocking has evolved over the years and can be worked on almost any fabric, but some fabrics lend themselves to the technique more than others, as they provide a natural grid for the gathering threads. These include ginghams, and spotted and regular striped fabrics, which also give an interesting visual effect when finished. 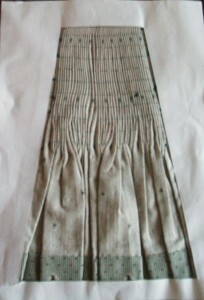 A sample of smocking on a spotted fabric. These spots were used for gathering the fabric on the reverse side. The gathering rows were evenly spaced to cover the whole area to be worked. Once the required number of rows gathered the threads were slowly and carefully pulled until the fabric formed even ‘reeds’ or ‘tubes’ on the front of the fabric. Then the long threads were tied in place on the back of the work. Then and only then can the fun begin. Finally when the surface stitches are complete and you are satisfied with the overall look, then and only then remove the original gathering threads. Reverse side of the sample above with gathering threads removed. This entry was posted in Crafts on February 10, 2010 by Grannymar.